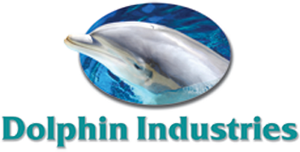 Dolphin Industries manufactures fiberglass pools in NJ. We make the most durable and flawless pool on the market. In order to maintain the highest quality manufacturing, we work with independent dealers. To locate fiberglass pool prices, please email us directly dolphinfiberglasspools@yahoo.com or fill out our contact form. Please include your name & address, and one of our dealers will contact you shortly. If you have an interest in becoming a dealer, please contact us by completely the form below. As a reputable manufacturing facility, we offer many styles, shapes and models to choose from. Due to the large variety of options, it is sometimes hard for us to accurately assist homeowners with pool selection. Please refer to our extensive list New Jersey in ground fiberglass pools. We handle all of our sales through exclusive dealers, however feel free to contact us with questions. Click here to be redirected to our inventory list of NJ pools. Each model is marked with the name, width, length and depth to better assist you. Copyright © 2019 Dolphin Industries All rights reserved.